Japonesque - John Lewis Launch and Make-Over. cowbiscuits | UK Lifestyle, Style and Beauty Blog. : Japonesque - John Lewis Launch and Make-Over. Japonesque - John Lewis Launch and Make-Over. Anyway! 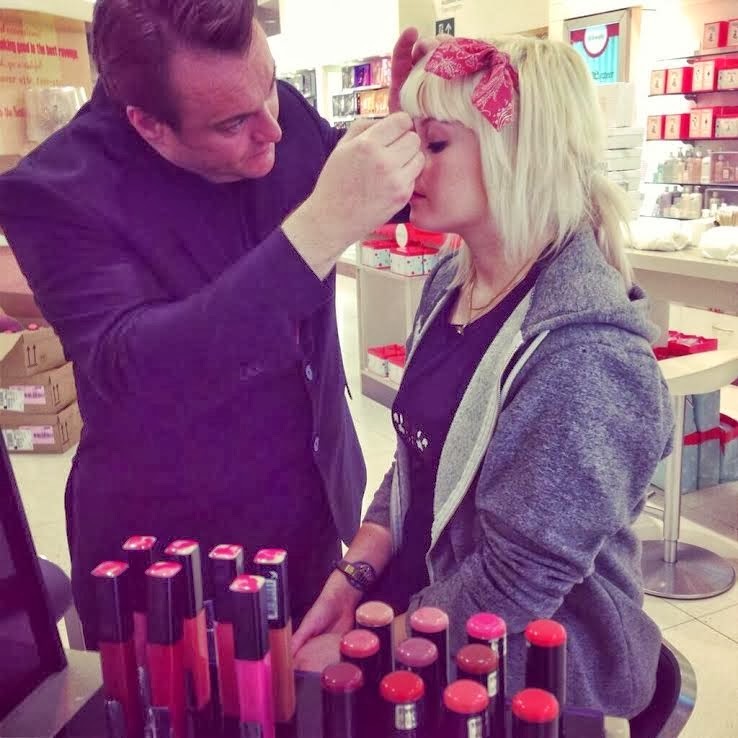 A couple weeks ago I was invited to the launch of Japonesque in John Lewis, Cardiff to check out the brands new colour range and have a little make-over fun. I was greeted with macaroons and Elderflower squash by the lovely Amy, Rana and the MUA Paul where I got to learn alot more about the brand and start my make-over. The brand was started in America however is all inspired by Japanese Kabuki Theatre make-up and it's application. The super fun Paul Herrington who was guest MUA for Japonesque. The finished look (pout included). Loved the subtle eye flick done with pencil! The packaging is one-of-a-kind in the sense that 3 colours are blobbed onto the packaging during the conveyor belt process and then individual artists mix the colours before sealing so each package is unique - mental! Lucky little me got to take home a 150degree Eye Shadow brush and Finishing Powder. I also found my PERFECT foundation. The colour match was incredible I never find anything for my pale ol' skin but the Luminous Foundation in shade 02 was amazing! Have you heard of Japonesque before? Pre-Christmas Shopping for Prince the Cat. Beauty Review: Carex Hand Creams. Adventure Time at Dinas Rock. Sun, Moon and Stars - outfit post. Winter Boots - I Just Can't Get Enough. Should Have Gone To Specsavers...Cardiff! The Big Day - outfit post.